UDOT proposes to build an 18 foot high, 3200 foot long noise wall along I80 at Jeremy Ranch. They can move ahead if the potential benefited property owners vote for it. They have identified 22 property owners who could benefit. A few other non-benefited property owners who are adjacent to the end of the wall may also vote. It is absurd that a handful of people have more of a voice than hundreds of Jeremy Ranch, Hidden Cove, Southridge and Pinebrook property owners, who will be significantly impacted by this monstrous wall. Actually the hundreds have no voice at all regarding this decision. In addition, what little sound benefit to the handful of property owners in Jeremy Ranch will be more than offset by the reverberation effect on the greater number of property owners in Quarry Springs and Cedar Ridge. It is absurd that wildlife fencing that has just been put in place, through great time, effort and money raised by the same community will be taken down and replaced by this 18 foot by 3200 foot concrete wall. This enormous wall will be more dangerous to the very wildlife the community is striving to protect. It is absurd that all the efforts of Summit County to protect and preserve our view shed can be completely obviated by a state agency with a single narrow mission. This enormous 18 foot high, 3200 foot concrete wall will be a dreadful eyesore at the western gateway to Park City and take away the very character of our community and turn it into the look and feel of an urban area. The community is urged to get involved and request that the balloting of the benefited scheduled for late June be deferred until further evaluation of all the impacts, including property values, can be conducted and all affected parties have an opportunity to have their voices heard with equal weight. 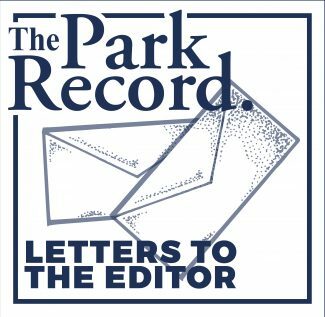 We want to thank those governing Park City for their foresight, leadership, and work to save Bonanza Flat as open space for recreation, water and wildlife. We thank everyone who contributed financially to make this save possible. We also want to thank Summit County Council for passing a resolution in support of public lands in Utah, Bears Ears National Monument, and Grand Staircase Escalante National Monument. We appreciate the Council’s vision and dedication to protecting our public lands. We would like to recognize Becky Yih, Lawson Legate and the many other volunteers with the Utah Chapter Sierra Club who have worked hard to move the resolution supporting public lands forward as part of the Keep Public Lands in Public Hands campaign. 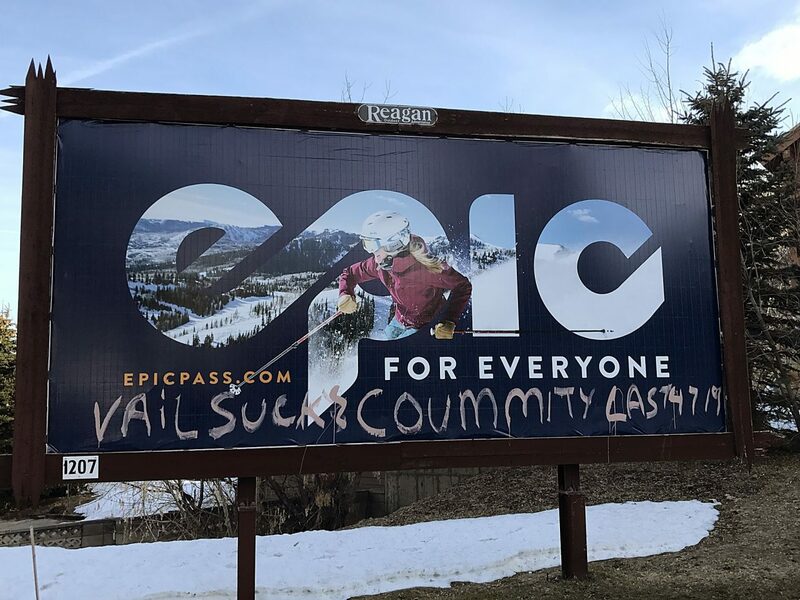 Park City and Summit County have set a visionary example for the rest of Utah by supporting and preserving the very basis for the quality of our life here. We are very proud and happy to live here. After UDOT hosted an information session Tuesday, June 13, 2017, and after the Summit County Council meeting on Wednesday, June 14, 2017, the following letter was sent to Summit County Council and the County Manager. I spoke at the Council meeting last night, and I would like to reiterate what I said and add more. The proposed wall will be 18’ high and 3200’ long. UDOT has determined current noise levels are high enough to consider if noise abatement measures are feasible and reasonable. Only homes specified as “benefited receptors” can vote. The impacted homes total 24 (includes #1 & #2 holes on golf course). In order to approve the wall, 75% of the actual 22 homes must vote, and 75% of the homes that vote must approve. Thus, 75% of 75% means 12 (or 14) owners can make the decision to construct the wall. Many owners are opposed, few favor. It is very concerning that ultimately the process allows so few people to make a decision that impacts hundreds of affected surrounding property owners. I feel a great part of that decision should come from the affected community itself. This very important issue affects many people’s quality of life. The 18’ high wall is NOT compatible with Summit County’s Mission Statement. The General Plan’s mission is “to preserve natural open space and vistas, and promote our mountain community.” The third Goal listed in the General Plan states “….Preserve Open Space, VIEW CORRIDORS, and scenic mountainsides.” One of the objectives listed in the Plan is to minimize potential impacts on local neighborhoods, the environment, open space and wildlife. Jeremy Ranch Golf Course is considered “active” open space per the Plan. It’s a scenic quality space and a critical area within the Entry Corridor. Enhancement to the Entry Corridor should be provided and considered, and an 18’ high wall blocking the golf course is NOT compatible with nor in harmony with the surrounding mountain environment and our beautiful entry into Summit County. The General Plan addresses the importance of aesthetic value to the Basin, and specifically states views from I-80 are critical. The wall will make the western county area less attractive. The impact of the wall to the tourists, who are a significant component of our economy, should also be considered. I don’t think tourists want to see a high wall along our scenic area. I believe Summit County Council is sensitive to the natural environment including preservation of our beautiful view corridor. I ask the Council to please keep in mind the goals and mission of the General Plan, and I encourage the Council to step up, assist and stand with the residents to block this wall from being constructed. Please don’t disregard the rights of the affected people who do not have a vote. Please consider adopting and sending UDOT a RESOLUTION recognizing the goals of Summit County and telling them we do not want the wall. The sound is not going away. It will deflect across and travel higher up to the affected areas of Jeremy Ranch, Hidden Cove, Jeremy Pointe, SouthRidge and even Pinebrook, just as it did in the Millcreek area along I-215 East. Last week my husband saw one of our “brandynew” electric buses at the Kimball Junction transit center that will be taking riders on express trips (with a few key stops) to and from the Old Town transit center–reportedly at 10 minute intervals. I applaud the city and county officials who did all the things necessary, including I’m sure, researching grants and writing proposals, to get these buses here. Awesome and a huge thank you! For years we’ve been talking about and studying public transit, then talking and studying it some more, and we know how important it is to have more frequently running buses going to more places, including park and ride lots. Dedicated bus lanes are coming. So now it’s time for us to do our part. Quite simply, we need to ride the buses. As a new bus rider I have been developing the habit of taking the bus–I must say, there was a bit of a learning curve figuring out the schedules, knowing where the bus stops are and having faith they will always stop there without my ringing a buzzer. Especially in the winter when it’s hard to see out the windows, I have requested drivers make sure all scheduled stops are announced whether it is by speaker or by them. It makes the ride a lot more relaxing–I can play Words with Friends on my phone and know I will be alerted of my stop. Visitors, can rest assured that the bus will drop them off at scheduled stops even though they don’t know exactly where those locations are. New ridership data will be collected. It will be embarrassing for us as a community if those numbers start and stay low–after all we have asked for bus transit improvements for a long time. I want the bus system to work well…really well. The truth will be in the numbers. How to get more people riding buses? Officials need to come up with a creative bus-rider incentive program. Perfect would be one that involves local businesses as public transit partners. Riders could pick up a coupon on the bus that would provide them a discount from a participating store or service provider. Different “Business Partners of the Month” would increase the program’s visibility, as well as develop more business owners’ commitment to making a difference. It would be easy to advertise participating businesses with small ads placed inside or outside the bus. This is about all of us being part of a community effort to improve our public transit system. At long last, or so it seems, community leaders are putting solutions into place. Now we need as many people as possible participating. Together we can meet the challenge of making our ridership numbers go up–therein, lies the truth. “The more the merrier” and “let’s keep the wheels rolling.” It feels good to have come this far. Is a ‘sound wall’ a sound idea? I wonder if the proposed Jeremy “Sound Wall” is a very sound idea. Who wants it? Who would benefit from it? Maybe a few people along Saddleback Dr. UDOT’s experience with walls on I 215 is mixed at best. The wall built near Wasatch Blvd blocked views of the city and redirected the sound of traffic up and out. But the proposed wall does have some redeeming values. It reminds us that we are no longer a small mountain community, that traffic is loud, that we need more public transportation, that we live in a narrow urban corridor surrounded by private and public lands. As an alternative, why not add a bike path on the north side to the top of Parley’s Summit to connect to the proposed wildlife bridge? Or a tunnel for pedestrians to service Jeremy Ranch Elementary? But I will support a wall if it’s built in three sections as replicas of the Berlin Wall, the wall surrounding occupied Bethlehem and the proposed wall between the USA and Mexico. Then these could become very public canvases for political art and resistance to the idea of walls in general, reminding us of the ideas we traffic in. This past Friday morning, I was out bike riding the trails of Park City and experienced all that is good about this town. I actually experienced 3 flat tires along the way, the original innertube, the second innertube and lastly the patch on the second tube. Each time I was stopped doing the repairs, rider after rider stopped to offer assistance. It was rare that someone didn’t stop. After the last flat, I was walking the bike to the nearest bus stop and several cars pulled up, asked if I was OK and offered rides. Thank you Park City for restoring my belief in the good of humanity in spite of negativity of the world around us. Did you ever look at something and know instinctively, “This is not right!” That is exactly what happened to me as I visited the Summit County Children’s Justice Center (SCCJC) when the Park City Community Foundation’s Women’s Giving Fund gave their initial grant in 2015. The Grant Committee, of which I was a part of, interviewed SCCJC as part of the selection process. The SCCJC is located in a very tiny space next to the DMV in the Summit County Library at Kimball Junction; a location where the patrons at the DMV might overhear what the child said. More importantly, the children of abuse had to walk past the line of adults waiting to be served. Often the children could hear the adults talking and laughing as they were trying to tell their story. Totally unacceptable! That was my “ah-Ha” moment, the moment I knew our community could and should do better. These children deserve the best possible start in life. We want them to have a productive and full life, contributing to society. It isn’t their fault they were abused either physically, emotionally or sexually. Children from age three to seventeen begin their road to recovery at the SCCJC. It is their ﬁrst point of contact with professional, highly trained, multi-disciplinary personnel, and they are frightened. The statistics are alarming. The abuse happens across all demographics, throughout our entire county. We are a community that can and must do better to help the children who have been abused. Community for Children’s Justice is a non-proﬁt formed speciﬁcally to build a campus serving the children of abuse; a place where the moment they step through the door they know they are safe. It will be a home where they and their families can heal. On June 25th we are hosting our ﬁrst public event, Pig in the Park. All proceeds from the sale of tickets will go to help our most vulnerable children of abuse in Summit County. The roasted pig, side dishes, desserts and beer have been generously donated. Come to City Park for a picnic and music from Lash LaRue and help our children. You can purchase tickets on line at http://www.ccjsummitcounty.wildapricot.org/events. Please invest in the children and remember, KIDS CAN RECOVER!